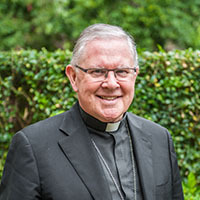 Archbishop Coleridge was ordained Auxiliary Bishop of Melbourne in 2002 and later became Archbishop of Canberra-Goulburn. Since 2012, he has served as Archbishop of Brisbane.“With few illusions about myself or the task that awaits, I humbly accept the call to serve as president of the Conference at a time that is clearly challenging,” Archbishop Coleridge said. “Among other issues, we bishops will together have to address the recommendations of the Royal Commission and prepare for the upcoming Plenary Council 2020. I trust I will be able to provide the unifying leadership this will require. Archbishop of Sydney Anthony Fisher OP was today elected vice-president of the Bishops Conference.